For well-qualified lessees with approved credit through Southeast Toyota Finance. Not all lessees will qualify for this payment amount. Closed-end lease on new 2019 Camry LE (Non-Hybrid) model #2532 with automatic transmission and select equipment. Adding options increases payment. $219 per month for 36 months. $3,518 due at signing includes $3,299 down payment and first month’s payment. No security deposit required. $21,830 Adjusted Capitalized Cost is based on down payment; excludes tax, tag, registration, title and includes $599 dealer fee. Monthly payments do not include applicable taxes. Lessee pays the remainder of maintenance after ToyotaCare expires, excess wear and use, and $0.18 per mile over 12,000 miles per year. Lease payments total $7,884. Disposition Fee of $350 due at lease-end. May not be combined with certain other offers. Must take delivery by 4/30/2019. For well-qualified lessees with approved credit through Southeast Toyota Finance. Not all lessees will qualify for this payment amount. Closed-end lease on new 2020 Corolla LE model #1852, excludes Hatchback and iM, with automatic transmission and select equipment. Adding options increases payment. $199 per month for 36 months. $2,898 due at signing includes $2,699 down payment and first month’s payment. No security deposit required. $18,560 Adjusted Capitalized Cost is based on down payment; excludes tax, tag, registration, title and includes $599 dealer fee. Monthly payments do not include applicable taxes. Lessee pays the remainder of maintenance after ToyotaCare expires, excess wear and use, and $0.18 per mile over 12,000 miles per year. Lease payments total $7,164. Disposition Fee of $350 due at lease-end. May not be combined with certain other offers. Must take delivery by 4/30/19. For well-qualified lessees with approved credit through Southeast Toyota Finance. Not all lessees will qualify for this payment amount. Closed-end lease on new 2019 RAV4 LE (Non-Hybrid) model #4430 with automatic transmission and select equipment. Adding options increases payment. $239 per month for 36 months. $3,538 due at signing includes $3,299 down payment and first month’s payment. No security deposit required. $23,543 Adjusted Capitalized Cost is based on down payment; excludes tax, tag, registration, title and includes $599 dealer fee. Monthly payments do not include applicable taxes. Lessee pays the remainder of maintenance after ToyotaCare expires, excess wear and use, and $0.18 per mile over 12,000 miles per year. Lease payments total $8,604. Disposition Fee of $350 due at lease-end. May not be combined with certain other offers. Must take delivery by 4/30/2019. For well-qualified lessees with approved credit through Southeast Toyota Finance. Not all lessees will qualify for this payment amount. Closed-end lease on new 2019 Tacoma SR5 Double Cab V6 model #7146, excludes TRD Pro, with automatic transmission and select equipment. Adding options increases payment. $209 per month for 36 months. $3,508 due at signing includes $3,299 down payment and first month’s payment. No security deposit required. $29,127 Adjusted Capitalized Cost is based on down payment; excludes tax, tag, registration, title and includes $599 dealer fee. Monthly payments do not include applicable taxes. Lessee pays the remainder of maintenance after ToyotaCare expires, excess wear and use, and $0.18 per mile over 12,000 miles per year. Lease payments total $7,524. Disposition Fee of $350 due at lease-end. May not be combined with certain other offers. Must take delivery by 4/30/2019. For well-qualified lessees with approved credit through Southeast Toyota Finance. Not all lessees will qualify for this payment amount. Closed-end lease on new 2019 Tundra SR5 Double Cab 4.6L V8 model # 8240, excluding TRD Pro, with automatic transmission and select equipment. Adding options increases payment. $299 per month for 36 months. $3,598 due at signing includes $3,299 down payment and first month’s payment. No security deposit required. $31,619 Adjusted Capitalized Cost is based on down payment; excludes tax, tag, registration, title and includes $599 dealer fee. Monthly payments do not include applicable taxes. Lessee pays the remainder of maintenance after ToyotaCare expires, excess wear and use, and $0.18 per mile over 12,000 miles per year. Lease payments total $10,764. Disposition Fee of $350 due at lease-end. May not be combined with certain other offers. Must take delivery by 4/30/2019. We know you want to get the best value possible out of your vehicle purchase, and because of that, we are proud to offer a number of exciting new car specials at our dealership in Athens, GA. Keep up with our specials by following our website or getting in touch — we have deals like low APR, cash back, reduced pricing, and more — if you are in the market for a Toyota, don’t make a purchase until you’ve looked into our Toyota specials here in Athens, GA.
We take pride in the Toyota vehicles that we offer, but it goes much further than that — we also try to offer services that you will used both before and after your Toyota purchase. If you are interested in buying a new car, than get in touch regarding Toyota financing at your earliest convenience. Our financing professionals are knowledgeable and experienced, and they would love to help you get a great deal on a car loan. Interested in Toyota Leasing in Athens, GA? If you want to drive an exciting new Toyota, but you don’t aren’t ready to commit to the same car for the foreseeable future, then our leasing specials are the way to go. You can find a beautiful, technology-forward new car, then choose a new one in just 2-3 years. You can enjoy a low monthly rate (and a correspondingly low security payment), and then return the car, no strings attached. Of course, you can also work with us to buy your leased car when your term is over — sometimes it takes time to fall in love with your car, and we completely understand. If you are interested in experiencing the latest in automotive advancement every 2-3 years, get in touch about one of our lease specials — we would love to hear from you and help you find the right car. Toyota Finance Deals – Save Even More Money on Financing. Do you want to save even more money on an exciting new Toyota? We have finance deals on a new Toyota SUV, pickup truck, sedan, crossover, minivan, and more — regardless of the car you are looking to buy, you can find a great deal on financing at our dealership. If your credit score is strong enough, you can get a low rate of interest, and you may qualify for additional finance deals as well. We pride ourselves in offering great finance rates to everyone, so regardless of your credit score or the strength of your finance application, get in touch about our deals! 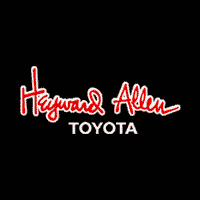 Been Looking for “Toyota Car Dealers Near Me”? If you need a new Toyota, but if you don’t want to spend hours finding the closest (and best) dealership, than we urge you to check out our dealership. We are conveniently located between route 10 and Highway 78, and we are easily accessible to Crawford, Statham, and the entire surround Athens area. If you have any questions about how to access our dealership, let us know! We would love to help.